I'm thinking about getting a launch monitor that will do the basic things: swing speed, ball speed, club distances, etc. I want to take it to the range and have some sort of statistical data to tell if my kids swing speeds are increasing. We use the Super Speed sticks to help generate more clubhead speed and the launch monitor would show me if there is any gain in swing speed. I figure it would also be good for getting down the kids club distances. I want to spend $500 or less and want to know what the best option is. 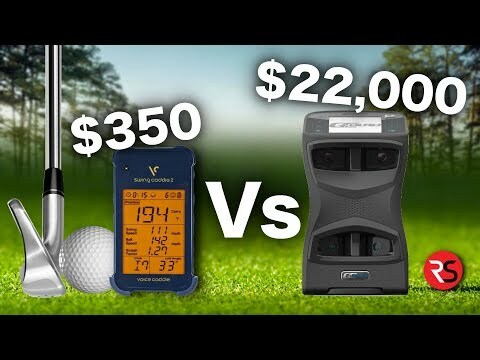 So far it seems like the Swing Caddie 2, the ES 14, and the Flightscope Mervo are the best options in that price range. Which of those would be the best to go with for the basic features that I need. I'm hoping you guys have experience with these units. I looked at all of them but there really not that great. I like the idea of swing caddies but in the end they're not accurate enough. I have the ES 14 but it doesn't alway pick up the ball and is in the way. I come to the conclusion that the instructor having one is the cheapest launch monitor. I have also seen where you can rent some time on a trackman but haven't found the costs of that yet. I think PGA superstore has indoor range with launch monitors and may actually be the cheapest option. You can't even buy the flash for the gc2 for 500.... Horrible company when it comes to support and a huge rip off for a 10 dollar flash bulb when your flash finally does go out. I have heard that the Mevo is the best option under $500. I’ve checked out the Swing Caddie and the ES14. The swing caddie is small which is nice and does everything that I really need. Only problem with it is that all the info is stored on the device itself. The ES 14 has an app and the data is accessible through their app. Swing caddie is coming out with a new version really soon. Ball speed, club head speed, smash factor. Look at a GC2. It appears you looking for that type of data. I purchased one last year. There is no need to pay that transfer fee. I use it with TGC software, but you can download the apple app for the unit. 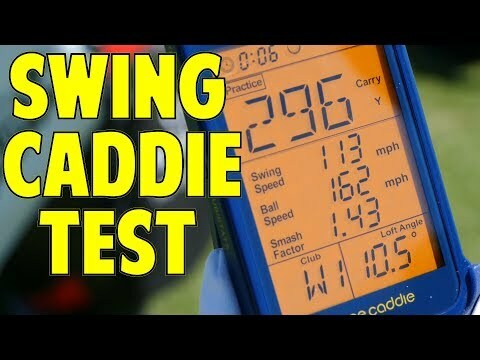 Personally, I tried out each launch monitor. Short of building an outdoor facility with TM4. I love the GC2. Not sure. Honestly if you were going strictly foresight and playing their software I would go the Quad route as well. If you want the ability to play 3rd party vendor software GC2 is the only option. FS locked down the Quad. I have the GC2 with FR1 and TGC. More indoor golf than I can play. I've got the SC200 and its good for swing speed and ball speed. I don't really pay much attention to the distances because I know they aren't accurate. I got a really good deal on it so I'm fine with it for what it does. From what I've seen, the Mevo seems to be the best for under $500. Why are you so sure the distances are wrong? Are you indoors or outdoors? One thing to remember about the SC200 its a calculated distance. You have to preset the lofts with each club. You have to chose which club before hitting. IMHO same as me knowing my son is hitting a 3 wood and just listening to the sound. 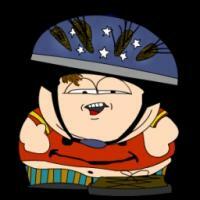 Say ok that was 225. It gives you ball and club speed. Everything else is calucated based on club. Its only 2D as well, so no spin axis. MEVO does not give spin axis, but what it does measure (ball speed, total spin, club speed, launch angle) is pretty good. I do think (but could not prove) that MEVO builds in a "sanity check" for total spin depending on the club you select. Its carry distances always seem really close to actual. Finally, MEVO is the clear winner if you like using swing video from a camera phone. 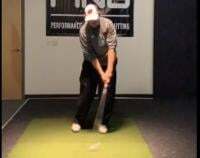 It edits your swing video and displays the data produced by that swing. SC200 distances are way off. Wouldn’t trust the distance on it at all. I will rephrase my original statement. Have found that the SC200 is up to 15 yards off with the driver. I wouldn’t trust it with irons at all. The approach game or whatever it is called is worthless. I do like the SC200, but only for swing and ball speed. Those are the only numbers I trust. Out of curiosity, since you bring indoor/outdoor up, do those effect Flightscope and Trackman? I'm other might differ, but its rumored that TM4 is off when in indoor mode. I was trying to find the link to back it up. TM3/4 is awesome if it can see the entire flight. Flightscope I personally was actually looking at purchasing. They have come down in price. You do need a fair bit of room indoors for setup. Extremely accurate outdoors. The numbers for Flightscope indoors were spot on. Was wondering about that. Was inside on a monitor with the kid last weekend and at times gave really weird ball flights and numbers. Right. Like seeing a draw swing, but it shows a fade. Here is a link a sim user did concerning the TM and Foresight. TM was showing a straight pull and he kept saying "I know I am not pulling it. I know what it feels like." He then said he was going to hit a big cut and still showed a pull. Can it have a tendency to not show the club path correct as well? I do remember ball flight being off. The club path I'm not 100%. I purchased my HMT yesterday for my GC2. I can't wait to totally geek out. That's a base quad. You then add club data, putting, software etc. Yea we aren't going the Quad route for sure. I'm happy with the GC2 (HMT on the way) with FR1 for practice mode. Son puts it in fitting mode and captures all of his data points. 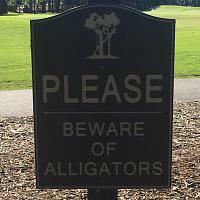 We have TGC so I can play their courses. Protee has a great Online tour schedule as well. They just released TGC 2019 Alpha for testing yesterday. I've been testing it and the graphics are unreal. JNPG and OGT knock the protee tour's socks off. It's not even close. Jealous you have an HMT, very cool. so i just got my SC200 and the distances are curious. My range has a net towards the back, so hard to tell distance, but it seems like the distance i'm seeing is a bit less than I'm actually hitting. When i was at Roger Dunn last week, I was pretty consistently hitting it 235-250 (including roll), but the furthest SC200 registered was 215 on a drive i smashed and felt like a 250 drive. So can roll be accounted for 35 yards? 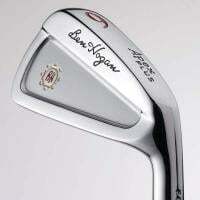 On my irons/woods/hybrid the distances seemed spot on FWIW. This was outdoors, in the sun, 65 degrees. Question about the sc200. If you're using it on a typical mat at a range (say 5'x5'), are you putting the monitor on the mat and setting up the required minimum amount from the device (assuming there is room) or are you putting it on the ground behind? If behind, what does the lip of the mat or the change in levels do to the readings? Thanks. I think people save the box the SC200 came in and put it on that. Otherwise, a standard range mat is about 1.5" thick so you could look for a piece of wood or rubber or something that is 4"x6"x1.5" (or similar dimensions).